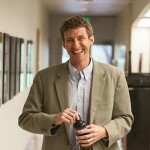 David Smith is the Executive Director of Roaring Fork PreCollegiate. Dave is a graduate of Middlebury College and received his law degree from the University of Colorado at Boulder. Dave got involved with PreCollegiate as a volunteer mentor beginning in 2008, and the group of students he worked with graduated from Glenwood Springs High School in 2014. Watching these students go through the PreCollegiate program was so impactful and inspiring that Dave chose to change careers from the full-time practice of law in order to join the PreCollegiate team as it grows and enters a new phase and tries to serve more students. Dave has a passion working with and for traditionally underrepresented populations, especially undocumented students. He lives in Glenwood Springs with his wife and two children. Leslie Emerson is the Assistant Director of Roaring Fork PreCollegiate. 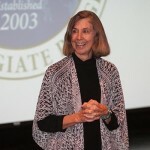 Leslie received her B.A. from Evergreen State College and a Masters degree from the University of Colorado at Boulder. Prior to joining PreCollegiate as director in 2009 Leslie was the principal at Carbondale Community School. She has worked in education for well over 40 years. Leslie’s educational philosophy has been guided by the anthropologist Margaret Mead who once wrote: “The ideal culture is one in which there is a place for every human gift, respect for the individual, and a belief in community.” Leslie moved to Carbondale thirty years ago with her husband, building a passive solar home and raising three children. Ana Vega Terrazas is the Program Coordinator for Roaring Fork PreCollegiate. Ana is a PreCollegiate program alum and was part of the program since seventh grade. 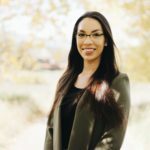 She graduated from Roaring Fork High School in 2011, and graduated with her Bachelors degree in Business Administration from Colorado Mountain College in 2016. Ana loves being able to help students open doors to life changing opportunities, and really values the importance of parent involvement in student success. Ana is honored to be part of a program that offers so much to first generation students. Katie Bailey is the Post-Secondary Program Coordinator for Roaring Fork PreCollegiate. 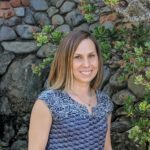 Katie graduated from Roaring Fork High School, completed her undergraduate work at CU Boulder, and received her Master’s Degree in Education from Seattle University. Katie previously worked on the Front Range with Mapleton Public Schools where she developed and implemented post-secondary transition programs with diverse learning communities. Her passion is helping first-generation students create viable post-secondary plans and navigating barriers in order to realize their educational and professional dreams. In her free time, she enjoys traveling, snowboarding, hiking, and biking with her husband and two sons.